This list is not intended to determine which of these five catamarans is the best and which is the worst. It simply consists of five excellent vessels which all have distinctive features. The order of the catamarans does not indicate the quality of the vessel. Instead, they are listed according to the author’s personal preferences and emotional (not rational) connection. Eleuthera 60 – Definitely the fastest catamaran on the list. 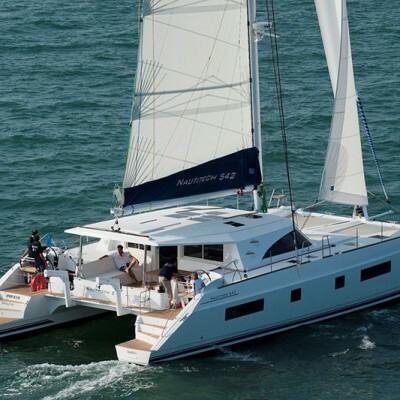 This catamaran is designed to provide the ultimate comfort with its space organization, the arrangement of the furniture, navigation devices and other features, achieving top speeds at the same time. Sanya 57 – This baby is the largest one on the list, but it also provides probably the highest level of comfort. Due to its arrangement and ‘space management’, this vessel can accommodate three crew members and 8-10 guests, providing the ultimate service during the trip. Voyage 500 – A speedy vessel with the room for ten! The most acclaimed features of the vessel are her wide and low design with the rather narrow hulls, her unique bridge deck bunk arranged with regard to space, comfort and speed, and finally a dive platform equipped with a dinghy crane, providing extra space when the dinghy not on the boat. Nautitech 542 – a strong and striking yacht that provides exceptional comfort. Thanks to its design she is very resistant to impacts, giving its passengers the feeling of flying over the waves. The side-positioned twin helm steering system could be considered as a slight disadvantage by some skippers. Lagoon 450 – An excellent ratio of the price, space, comfort and simplicity. The helm is positioned on the top of the vessel above the stern, allowing skipper to navigate completely on his/her own. The space is well arranged to comfortably accommodate eight people in four double cabins, while the crew of two is accommodated in both bows. Although this yacht is not very fast, sailing her provides much fun. When you charter a catamaran, you should take into consideration a number of factors. To make it easier for yourself, visit our site Sailing Catamaran Yachts. 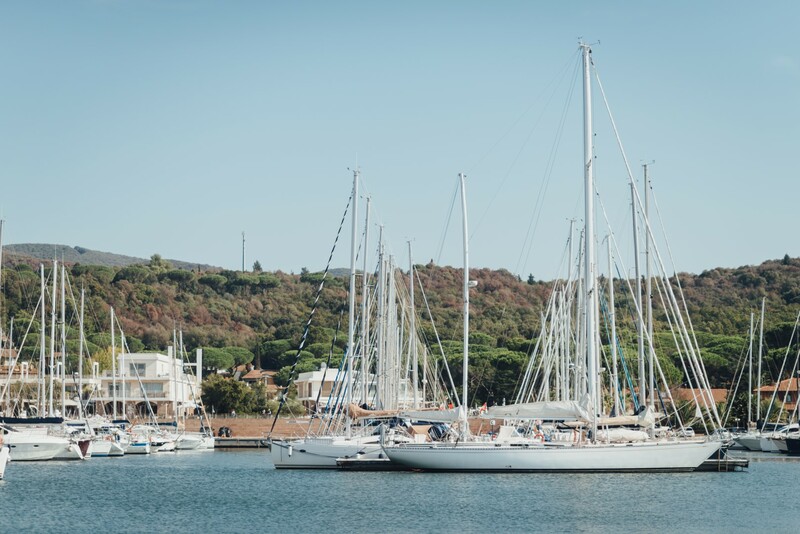 You can find all the necessary information about catamarans – why charter a catamaran, what it’s like sailing a cat and all the other information that will make your journey pleasant and carefree.